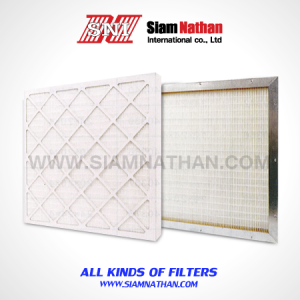 The Rigid Cell Filter is a rigid, extended surface, medium to high efficiency filter. Superior performance in high humidity applicationscombined with the elimination of media fiber shedding make this a smart choice over traditional fiberglass high efficiency products. Its high loft ultra fine synthyetic media provides excellent dust holding capacity and coupled with its rigid construction virtually eliminates dust particle unloading downstreamof the filter. 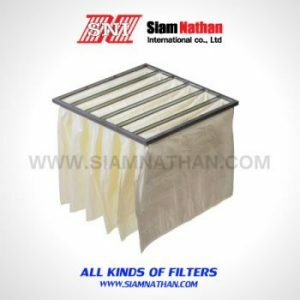 A galvanized steel frame, diagonal support bracing, moisture resistant media contour stabilizers and metalspport grid enhance the durability of the filter. This durabiltiy eliminates media oscillation and media pull-away. 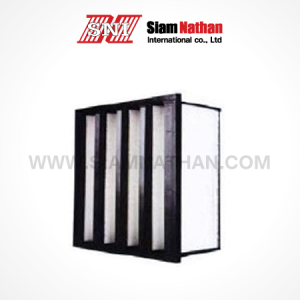 The media of the filter is adhesively bonded to all four sides of the frame to eliminate air by-pass. The Rigid Cell Filter is available in ASHRAE 40-45%, 60-65%,80-85% and 90-95% efficiencies. High loft ultra fine synthetic media eliminates fibre shedding. Superior media integrity in high humidity applications. Rigid format prevents unloading in variable air volume systems. 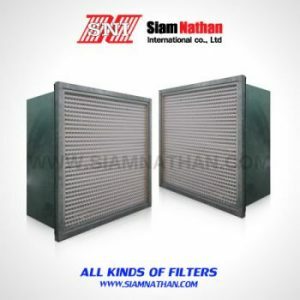 Used in both side access & built-up filter banks. Galvanised steel frame provides rigid construction. Available in box-style or single header. The Regid Cell Filter is the ideal solution to IAQ problems that demand a high efficiency, long lasting rigid filter without costly modification to existing equipment. The secure, superior performance of this filter helps reduce costly maintenance. 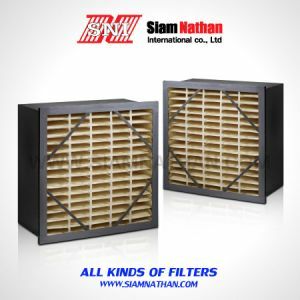 The rigid cell filter can withstand many unfavorable conditions, especially variable air volume. pre-filter for higher efficiency products or a final filter in HVAC systems that require a high level of efficiency and cleanliness. The Rigid Cell Filter is designed for ease of installation in either side access systems or built-up banks. It is available in traditional box style or single header versions. Consult factory for additional sizes and performance data. Filter Media: Lofted Synthetic Recommended final Resistance: 1.5″ w.g.